Deputy First Minister Nicola Sturgeon said she had “a spring in her step” as she set sail for Shetland last night with plans for a surprise independence Q&A for ferry passengers. Passengers on the MV Hrossey were to be given the chance to take part in a “town hall” style question and answer session. Ms Sturgeon said: “Taking questions on a ferry is one way to reach floating voters. It will certainly be a test of my sea legs. Yesterday in Aberdeen, Ms Sturgeon said she was buoyed by the performance of First Minister Alex Salmond in the referendum debate with Alistair Darling on Monday night. She said: “I have a spring in my step today. On claims that the debate between the two campaign figureheads had been off-putting for some, Ms Sturgeon said there would always be an “adversarial” element to such televised exchanges. She added: “To be fair, I thought there was some meaty information coming forward. Ms Sturgeon was surrounded by Yes supporters and SNP activists in St Nicholas Street and also took questions from members of the public. 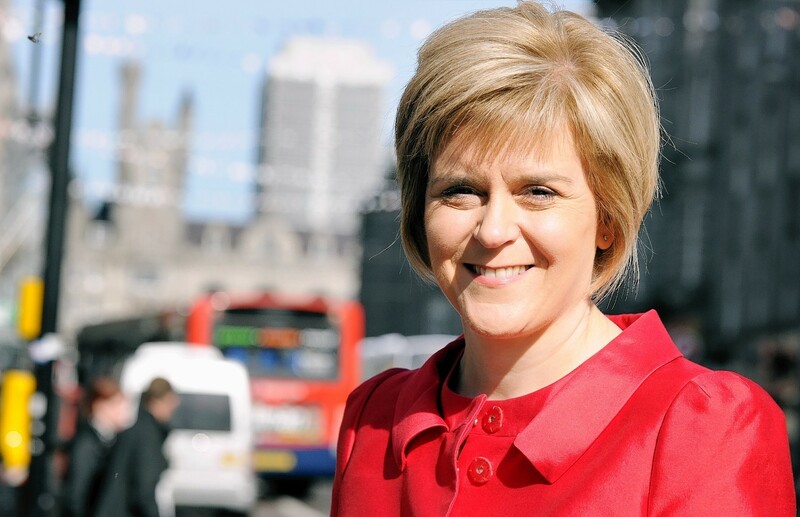 Ms Sturgeon said her approach would be one of “patient persuasion” in the run up to September 18. Shetland musician and Yes voter Aly Bain will welcome Ms Sturgeon to Lerwick today. He said: “I have the confidence to vote Yes and put Scotland’s future in Scotland’s hands – not leave it at the mercy of a Westminster system which simply doesn’t represent us. “As a musician who has played in every nook and cranny of Scotland, I see a nation full of confidence, a unique and vibrant culture that many other nations can only dream of. “Shetland has provided a glimpse of how the wealth from the North Sea can be harnessed for the benefit of local communities, but that is just the tip of the iceberg.